difference between pre-ground and freshly-ground coffee. Since you’re on the market for a grinder, I think it’s safe to assume that you’re one of them too. But unfortunately, not all burr grinders out there will ensure that you taste a divine difference – and you know that. That’s basically why you’re here, looking for some guidance. So I took my time putting together a shortlist of the best coffee grinders on the market. This will make your navigation much quicker and easier. Scroll down and sneak a peek. 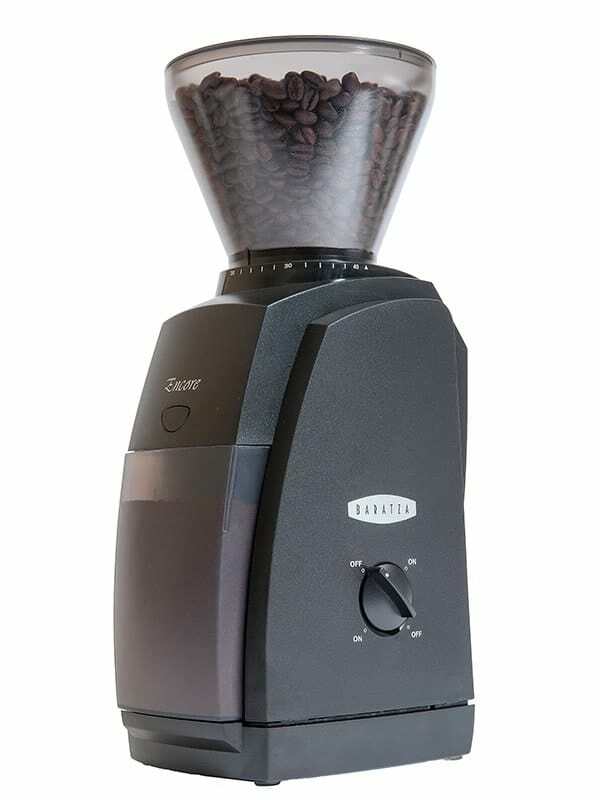 On my first glance, Baratza Encore Conical Burr Coffee Grinder is anything but cheap. It seemed to be pricey for an entry-level unit. But a closer look on its grinding capacity, along with the multiple coarseness settings, made me realize that every penny spent on it is worthwhile. The beans that go into the Encore are so finely grounded that they add a delicious twist to the final cup. There are also about 40 grind settings to choose from. This level of luxury is often found only in commercial-level units. That’s why it manages to take buyers by surprise. The build-quality, on the other hand, is top notch. You can try sending a bullet through it and rest assured more harm will be done to the bullet than to the machine. Though the Encore features a durable, high-torque DC electric motor, it’s anything but fast. However, it’s one of the quietest units to date. This enables you go about grinding regardless of the time. As long as you’ve fewer quantities to grind at a time, this machine is good to go. If you’ve a liking for variety, then splurging a little on the Encore is going to be one of your best purchases ever. Its speed has been compromised to achieve quieter operation, but remember that it will live up to your money’s worth. Also remember that multiple coarseness settings and the uniformity in grounds are hard to come by in such a simple, entry-level unit. Running low on a budget? 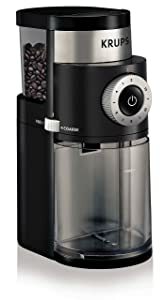 Then Capresso Infinity Burr Grinder is the one you should be after. It’s so quiet that you won’t think twice about running it every morning. The good news is that it’s also fast an efficient with a total of 16 settings, including a convenient extra fine, fine, regular and coarse settings. This way, you can always grind it just right to perfect your cup. The machine, however, is not for the LOVERS of dark, roasted beans. The consistency of grounds is not maintained well for the coarsest setting. But if you prefer to retain the taste better, you can still choose to grind at a slower pace, with less heat and friction. The build-quality is neither the best, nor the worst. It’s reasonable to fear the plastic housing, but it’s almost as good as the stainless steel one in the longevity department but with the added advantage of a lighter weight. The only gripe that I observed in Capresso Infinity is related to cleaning. Some bits of grounds have a tendency to stick to the grinder due to the presence of static electricity. But then again, it isn’t a deal breaker as it’s a pretty common problem that can be sorted out by googling some basic hacks. 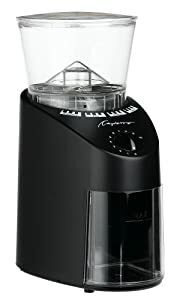 For budgeters under $100, Capresso Infinity is the farthest they can go. It’s faster, more efficient and durable than the units that fall under this price category. Coffee quality is great as well, and will leave you nothing more to ask for. Krups GX5000 is a little electric grinder ideal for studio apartments and compact kitchens. But what initially attracts buyers is the price. As long as you keep in mind what you’re paying out of your pocket, this little grinder will not leave you disappointed. K﻿rups is, in fact, a German brand that’s famed for its quality. Though the GX5000 is not one of its best creations, it still does a great job at grinding. 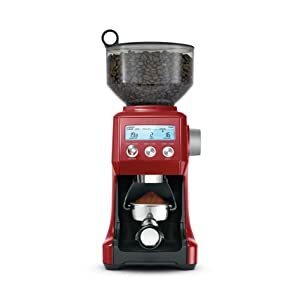 With 45 grind settings (the dial is labeled with 1-9, but between each label 5 intermediate settings are possible) to choose from, the consistency of grounds is maintained quite well. It’s also multi-functional as it not only accepts coffee beans, but also nuts, seeds, herbs, and spices. Once you’re ready to grind, make sure that the bean container and the lid are secured well. If not the safety lock system will give away a false alarm of a defective unit by refusing to grind. All aspects of the GX5000 are fine, except for the noise. No noise insulation is found at all, so it could be deafening to the ears. However, it’s still worth the price and you can run it as an alarm to wake your household up! Longevity of this machine is a subject worth talking. What I personally believe is that as long as you’ve gotten yourself a defect-free unit, maintenance is the key. The sensor also needs to be free of coffee at all turns, and in case grounds got in there, then you simply need to blow clean it with an air compressor. If not the sensor would give up on you. Krups GX5000 coffee grinder is a great low-cost option that gets the job done. The grounds that come out of it aren’t perfectly even, but be rest assured that they brew you a decent cup of Joe. The quality is pretty great for a unit so cheap, and I simply couldn’t think of a better way to spend my $50 bucks. It’s no secret that burr grinders are expensive. 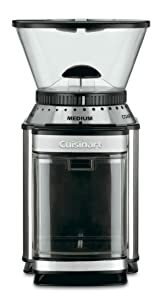 That’s why cheap, but great units like the Cuisinart DBM-8 Supreme Grind get sold like hot cakes. I wanted to check whether it’s indeed as great as it looks. My first thought after a quick inspection on the stainless steel exterior is that the quality deserves a thumbs-up. Though not the greatest out there, it actually performs surprisingly well with 6 grind settings and pretty much even grounds. The coarse setting for a French Press is by far the best. It features a large output bin as well – enabling you to grind back to back without worry. It also features an electric timer that will shut off automatically once the task is complete. Simple to operate, proper maintenance will make it live past a year or so. The compact design is also beneficial, for it can fit into almost any kitchen. The machine lacks noise insulation. I believe it’s a small compromise for the low cost. However, what actually concerned me was the fineness of grounds at the finest setting. It’s too powdery and may not be ideal if you’re grinding to fix yourself an espresso. If you’re a casual coffee drinker, who doesn’t care much for variety in your cup, then I wouldn’t hesitate recommending the Cuisinart DBM-8 Supreme Grind. It does a fine job, and is capable enough to sustain daily abuse long enough to pay you back your money’s worth. If you’re like me, an Espresso-holic, then the Rocky SD will leave you breathless. The beans that go in will come out so finely and evenly ground that your ultimate cup will make your eyes roll to the back of your head. It comes with 50 grind settings – ensuring that, even with trial and error, you’ll always have a setting ideal for you. The motor is a beast. It’s so powerful and fast enough to expect a lot of noise, but it isn’t. In fact, it’s way quieter than an average burr grinder. The top-notch build quality doesn’t come as a surprise either, given the price. It manages to stand solid and proud on the kitchen counter, and boasts long life. That’s why you need not to feel skeptic and believe in its promise to live up to your expectations. On the downside, however, many issues were reported related to jamming. I personally looked into this matter and the only explanation I could come up was the use of oily beans. If you feed the grinder with oily beans, then the semi ground portions tend to block the discs. So make sure you feed it only with non-oily beans. If you don’t mind spending a pretty penny on a near-perfect grinder that’s easy to use, flawless at grinding and lasts long, then Rocky SD is the one. The quality of the grounds will leave your espresso tasting exceptionally better, and you’d instantly know the difference if you’ve owned any other model before. Housed with stainless steel, Breville Smart Grinder Pro is a lot like what the name suggests. It has 60 grind settings – one of the highest to date and every setting has a difference that deserves to be tested. With a slight learning curve, you’ll be able to understand the precise setting for what you choose to brew. It has an electric timer that helps you decide for how long you need to grind. The beans come out evenly ground, and perfect for any cup you decide to brew. Whether it be espresso, or drip coffee, Breville Smart will do it for you. Not only is the machine efficient, but also quiet. You can run it anytime of the day and not wake the household up. Another feature worth noting is the removable hopper. It also has an air-tight lid that helps to keep the beans fresher longer. You can simply detach the hopper and use it for storage. On the downside, however, this grinder doesn’t grind coarse enough for a French Press – unless, of course, you don’t mind a little sediment. Even at the coarsest setting, the beans come out finely grounded. So if a French Press is what you use to brew coffee, then Breville Smart Grinder Pro may not be for you. Breville Smart Grin﻿﻿﻿﻿der Pro would be an ideal choice for those looking for a good, home-made drip coffee and espresso. It has many bells and whistles that make the price justifiable, and high quality that ensures longevity. 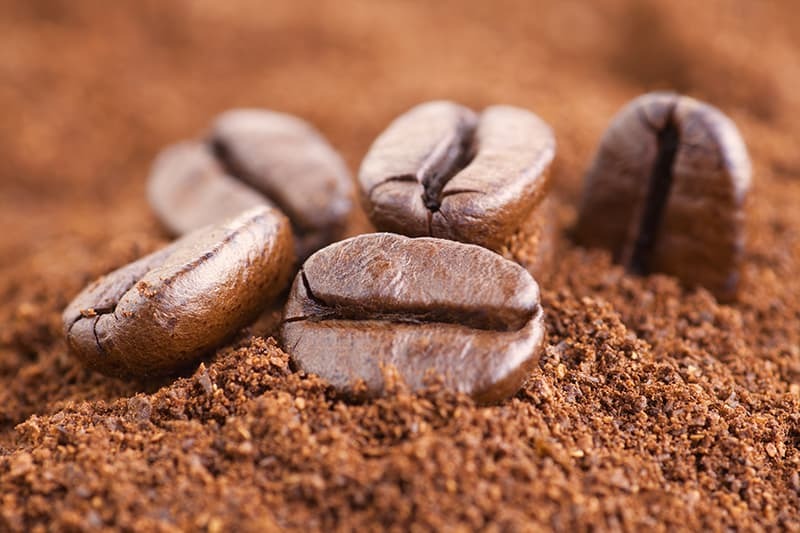 Among the many secrets behind the best-tasting, full-bodied coffee are fresh grounds. That’s why, in addition to coffee machines, coffee grinders have crept their way into the bucket-list of coffee snobs. I personally believe that nothing can beat the aroma and texture of freshly ground coffee. To understand my meaning better, you need to have tasted the difference and if so, be rest assured that you’ll never go back to tasting old coffee again. Having said that, let’s make a beeline to one of the greatest creations in the coffee world: Coffee grinders. They aren’t easy to pick, especially for a beginner, so keep reading and figure them out. Blades v/s Burrs - Which is better? The answer is pretty straightforward because we all have blade grinders at home and they’re the last thing to grind coffee. For years, even I’ve used blade grinders only to realize how inconsistent the grounds were. One of the utmost important things that preserves the flavor of coffee is consistency and the relative coarseness for each type of coffee is a game changer. So it’s high time you splurge on a burr grinder and forget about blade grinders for life. As you do for many things in life, set a budget and stick to it. Burr grinders are often more expensive than blade models for a reason so don’t let it get into you. There are many models for a varying range of prices and the good news is that you can get a decent one even for an amount as little as 50 bucks. However, the best models may cost more than $300. Go through our shortlist to decide on it. If you prefer a v﻿﻿﻿﻿ariety ﻿﻿o﻿﻿f coffee, then this is the primary thing you should look into. Cheaper models offer less number of settings and it’ll increase with the price. Certain high-end models may even have more than 100 settings – every minute change makes a difference in your cup. However, not every machine is good for every setting. Some may specialize in coarse grounds for French Presses while some may perform exceptionally well at fine grounds for Espressos. The speed is usually related with the generation of heat. Most high-speed grinders are noisy, and they generate a lot of static electricity. They’re also cheaper, and noisier. 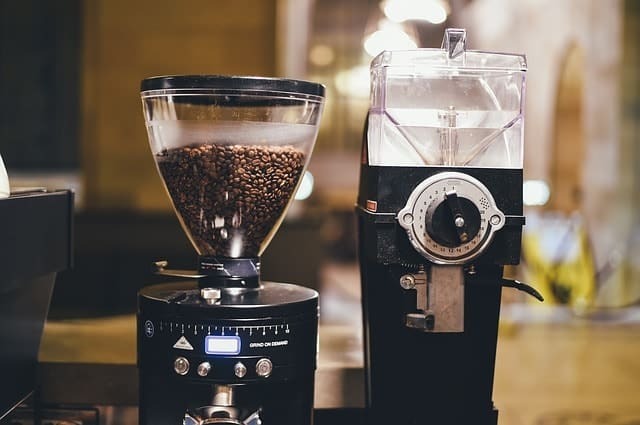 The best coffee grinders, however, have high speed motors with gear reduction. They can grind fast, generate less heat and noise. Our best pick, Baratza Encore is one such unit with gear reduction. The storage capacity of both the bean hopper and the ground container should be considered beforehand. To do so, you need to understand how often you’re going to use the grinder and how much of space can you accommodate under your kitchen cabinets. 8 ounces is the average size of a bean hopper and it’s quite compact for most kitchens. Anything greater than that is large, so make sure you look into the dimensions of the machine. Those stubborn bits of coffee that stick to the grinder are a common problem – sometimes even in the most expensive units. If you ever wonder what makes them so stubborn, relax, science has a reason called static electricity. The good news is that you can get them to back off by performing a simple hack. All you need is to sprinkle a few drops of water prior to grinding – and enjoy how obedient your grounds would get! For coffee snobs like us, coffee is what runs in our veins. That’s why the perfect cup means the world to us, and is considered essential for survival. However, there’s no such thing as the best burr coffee grinder. There are, in fact, many and it’s wholly in your hand to identify which will suit you and which will not. Navigate our shortlist, get help from our buyer’s guide and you’ll be directed towards your ideal buy in no time at all. The Krups GX5000 has 45 settings. The dial is labeled with 1-9, but between each label 5 intermediate settings are possible. Thanks, Marco. I’ll look into this. Even though tasting coffee is very subjective, it would be nice to have a blind comparison done by several subjects. The result should not be “best, good, worse, worst” but should be qualified by taste aspects such as e.g. bitterness, strength. It should also be recorded which brewing process and which brewing equipment has been used. I’m looking for a great grind and brew in a single cup…can you reccomend any? 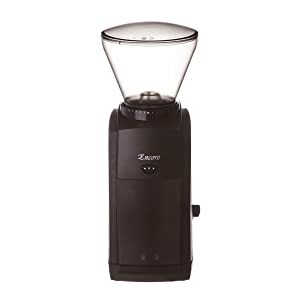 The Krups GX5000 is a very inexpensive burr grinder. You get exactly what you pay for. This was my first grinder. It’s very very loud, the motor spins very very fast. There is massive amounts of retention, it’s difficult to clean, and static is horrible! The grinds are very decent though, for the price point…… There will be fines in your course grinds , and you will find it very difficult to clean….. 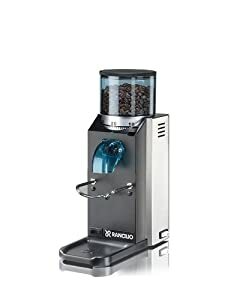 But if you want a decent, starter burr grinder for very cheap….. Try it out, but it’s just going to have you itching to upgrade. Really appreciate sharing your experience! Breville Smart Grinder Pro has a cup (or shot for espresso) setting, not a timer. And as such would defeat it would not make sense to have to hold the button down to grind. Used a Krups ($60) every day for 12 years until finally the burrs wore down too much to get a fine grind even on the finest setting. Otherwise, it still works like new. Because it lasted so long I decided price was no object and sprang for the Breville ($200). It’s a very nice machine with highly-repeatable “dosing” as they call it, a term bordering on the medicinal. Already noticed a bit of burr wear, needing to re-adjust the grind after 10 months of use. Love the big hopper with tight-fitting lid. Breville opted not to use the familiar FINE and COARSE labels on the display, instead choosing FINER and COARSER. A trip to the dictionary confirmed my suspicion that “coarser” is not (yet) a recognized variant of “coarse” in this language. My household has a full gambit of coffee making at our house, and use them all; French press more than the others, but enough Italian espresso, Vietnamese espresso, and the occasional drip to need a little clarification on choice in regards to grinder. Will the Baratza Encore (or any other) manage this wide variance in grind needs proficiently, or will I have to sacrifice more counter space and acquire 2 more specialized to deal with the spectrum? I’d prefer to stay under $200, but if there’s only one that can manage what I need, (whatever the price) let us know.